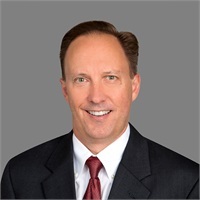 Steven Wolfe | Tellone Financial Services, Inc.
Steve was born in 1970 in Orange, CA. He earned his Bachelor of Science degree in Business Administration from the University of Southern California (USC) School of Business in 1992. Since his graduation, he has been employed by Tellone Financial Services, Inc. where he is presently Vice-President of TFS and Vice-President Investments of Tellone Management Group, Inc. In pursuit of further studies, Steve earned the CFP® designation in 1996 became certified as a life agent in the state of California in April, 2010. The CERTIFIED FINANCIAL PLANNER™, CFP® and federally registered CFP (with flame design) marks (collectively, the “CFP® marks”) are professional certification marks granted in the United States by Certified Financial Planner Board of Standards, Inc. (“CFP Board”).